During our three months of orientation in Bogota, our Seed group tried to learn many things. Peace building, community development, Colombian history, tejo. This list was long, and among the laughter and frustration that followed intense sessions in the office, one lesson stood out. Whether the issue was security or daily life, the answer was always the same: follow the lead of your community. Beyond wanting to learn, to soak up peacebuilding from a grassroots level, I was ready to work, to accompany, to undo in some small manner the legacy of colonialism I felt I bore. I wanted to understand structures and systems. Instead of comfort at the visitor’s words, I felt more frustration. Who was I to be the bearer of self esteem to this place? I was not here to be the token foreigner saving through mere presence. Yet, a few months later, I found myself mouthing similar words back to the newest arrival on the team. “Don’t worry, the community will show you the way. Be present, be aware, drink Postobon Manzana with your neighbours.” Instead of self-esteem, however, I was learning about a relationship, where I did not want to play a role in creating further stress. I watched leaders attending meetings with the hope that the transportation subsidy would feed their families for the day; community members going to workshops simply for the afternoon snack. Following the community meant waiting, not demanding. Just over two years ago, we walked to San Jacinto. It was exhausting, but the march was just the beginning when we were met by a political leader and his posse of negotiators. This leader and I have exactly one thing in common- a picture of Hector Cañate on our walls. At every meeting with communities throughout the department, he mentions Hector’s photo and how the poor, old, penniless campesino is his motivation for good works among his people. One of my fondest memories of Hector is how he walked from Mampujan to Cartagena, only complaining when we forced him to stop for rest. He barely ate because of his determination to arrive in the capital and demand his reparations. After the march, he would stop by my place for coffee and to chat, telling me about his crops and his family. 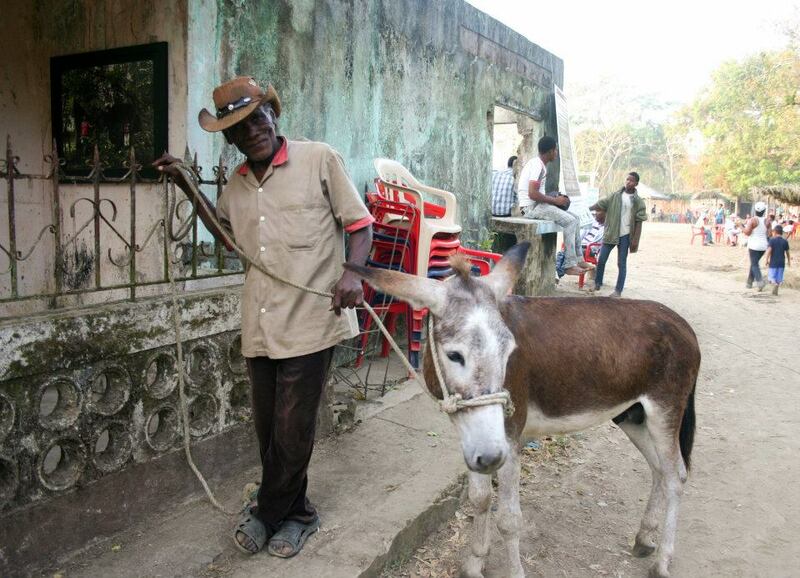 Together, we named his donkey “Donkey” and morning coffee always included a progress report. Hector may have been a motivation, but he was also my friend and following his lead meant believing that the only option left was walking for change. I don’t think the political leader ever knew who I was, but Juana was the first to tell me about Hector’s photo, as she updated me on every meeting the community had in his office. Usually, the reports would be filtered through Juana’s anger and frustration, as she felt ignored and unimportant in each meeting for the simple fact of being a women. 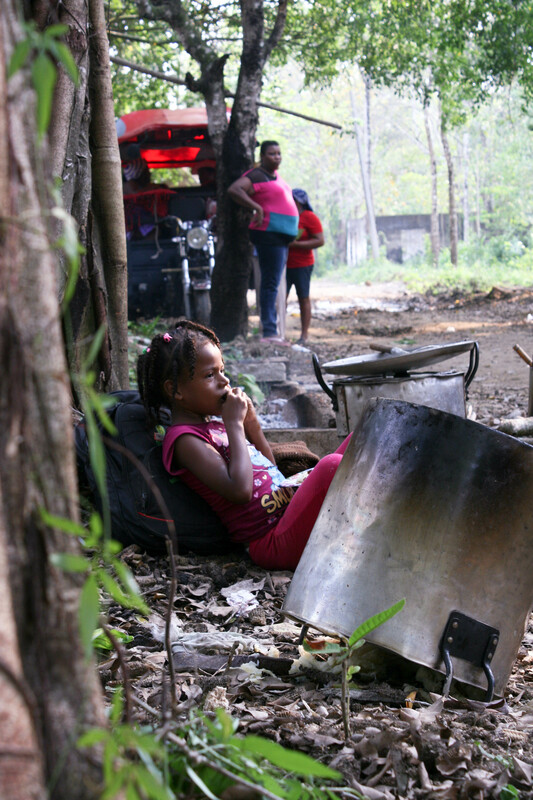 Juana was present when we arrived at San Jacinto and was not impressed with the response to the communities. When he seemed to insult a coworker for not following proper protocol, Juana had enough. When I later asked her about her proudest moment, she described her feelings as she stood up and and lectured the politician on manners and respect, in front of a thousand people. I remember watching her rise to her feet and start speaking, not in Spanish, but Palenquero. 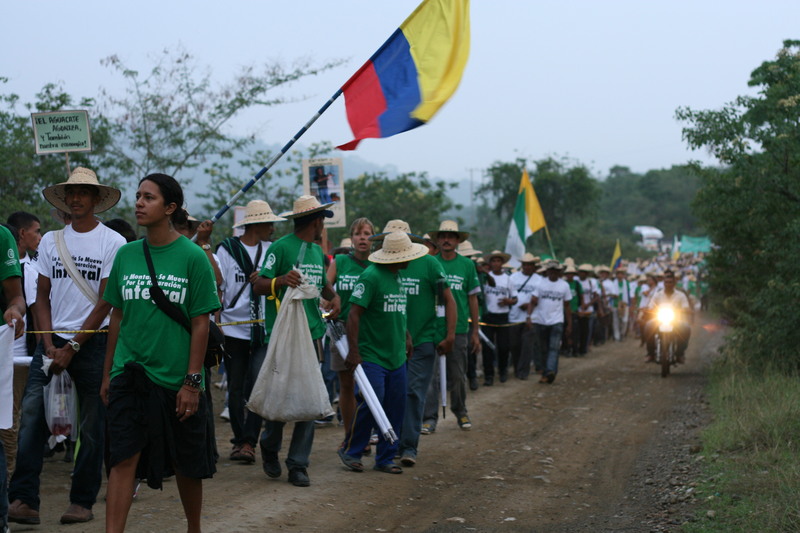 My relationship with Juana was not always easy, but in following the lead of the community, I learnt about courage and determination, the real-life power of strong women, and that denouncing misuses of power and returning to the roots of traditions and culture are acts of resistance that cause the powerful to tremble. 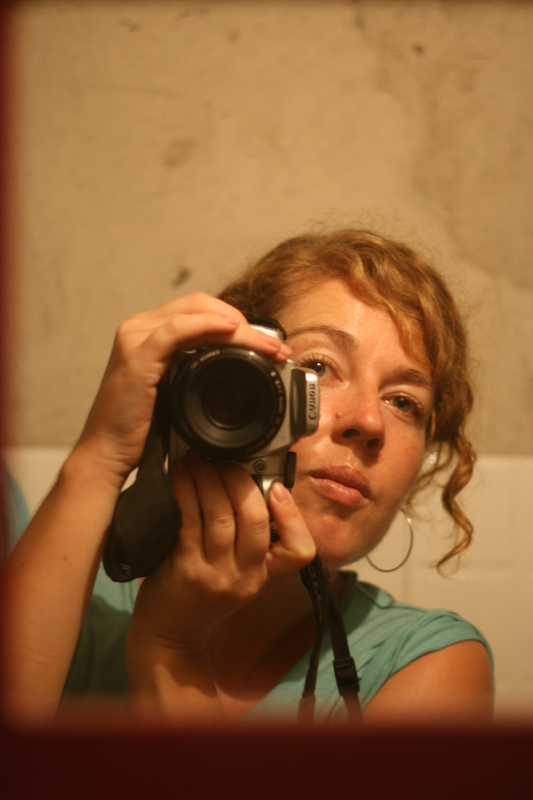 I moved to Bogota because I wanted to experience the reality of a local NGO. While my office is in many ways its own community, it is still an organization made up of people getting paid to do specific tasks where I have learnt to follow organizational plans, understand national level advocacy and walk the delicate line of seeking allies but not partisanship. I have the greatest respect for all of the people who have dedicated their livelihood to working in unstable, low paying positions, amidst complicated political turmoil, literally placing their lives on the line is search of an elusive peace. 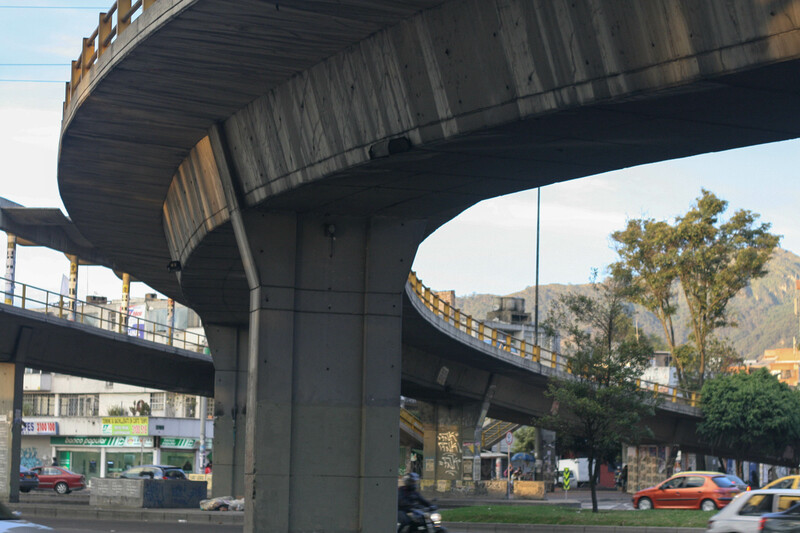 Over time and distance, however, I have experienced how we in Bogota and beyond in the development industry hang our photos of Hector Cañate on the wall. Because we are not communities in the same sense, it is easier to divorce the real man who walked with determination from a photo that only tells a single story. The pressure of reports and responding to external agencies creates further distance. Chances are good that I will never again have that close of a connection again, but I do not want to forget how to follow the lead of the local, especially when visions of community clash. I have never allowed myself to see myself as a strong woman, but four years later, I must recognize that my agency moves beyond mere presence; that presence itself is a form of agency. I believe in structures and systems, in understanding behaviours and patterns, seeing the connections of the macro in the micro. Yet, I am also here. A human being with a personality, with thoughts, with the ability to be hurt, to speak, to live, to laugh. How do I intentionally use my agency, in the midst of a plethora of clashing experiences and perspectives, without doing damage? When Juana stood up that day there were many people who were annoyed at her speech and the attention it drew away from the participant communities. She was after all, only accompanying. What I do know is that she was defending her dignity and also us, as part of her circle. There is not a clear cut, marked out path forward, but perhaps following the lead of the communities means makes myself vulnerable by recognizing that I too, have the right to belong to a company of strong women. Thanks for the comment. I think we are wiser than we think as a community. Enjoy your tea! Hugs. Thank you for that, it brought back so many memories of Colombia; positive and negative.